For Sophia Antipolis and Lille, download the App Affluences on AppStore or Google play. Affluences displays the opening hours and informs you about any unexpected closure. You can also know the occupancy rate of the places. 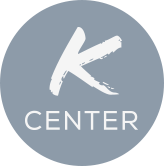 The KCenter team assists you to find information, to organise events, and to borrow supplies.